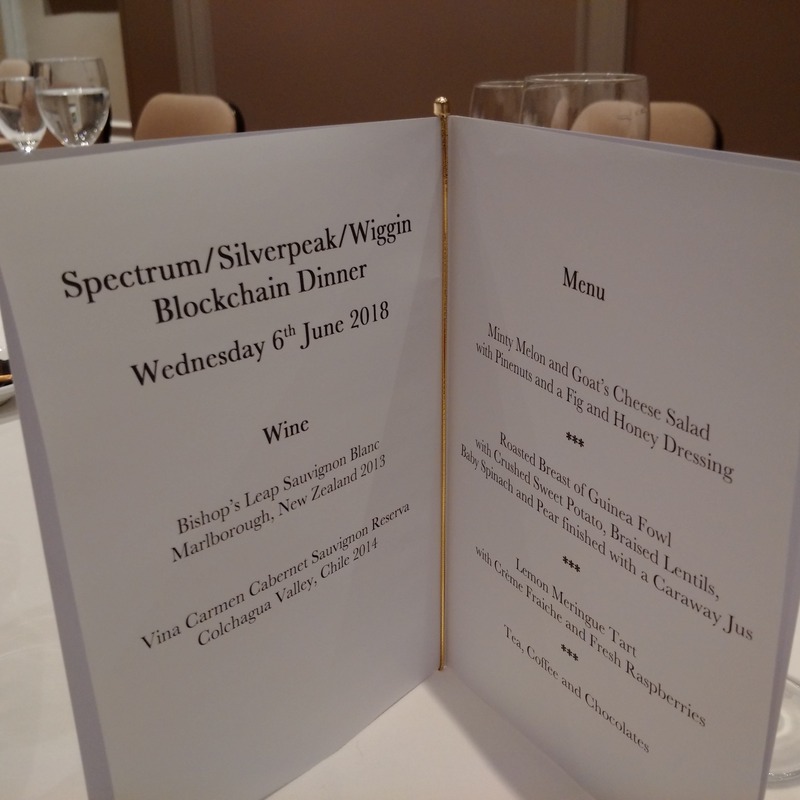 On the evening of 6th June, Spectrum, Silverpeak, the technology investment bank, and Wiggin, the technology law firm, co-hosted a Blockchain Leadership Dinner. We brought together 17 peers from Blockchain businesses, at CEO and Chairman level, for a ‘Chatham House rule’ discussion on the rapidly-emerging Blockchain landscape during a private dinner in Central London. Blockchain is only at the very beginning of its journey – much like the internet in the mid 90’s – and it will take time for widespread adoption to materialise. The blockchain movement needs a spokesperson or industry body to project its value to society. The Global Business Blockchain Council is one such group. Stability in the value of Bitcoin would be helpful, and perhaps this cryptocurrency is now settling down to its natural value of $7-8k per coin. Blockchain is challenging the status quo of the establishment. However, the processing of transactions using blockchain technology is affected by how decentralised the technology being used is. At the moment, highly decentralised systems take too long for many use cases. There is a trade off between decentralisation and speed, which has an impact on rapid wide-scale adoption. Compelling blockchain opportunities arise where there is a real argument for decentralising specific, strategic business problems. ICOs are a fast and low-cost route to funding. However, for businesses without compelling business case uses for blockchain infrastructure and their own cryptocurrency, tokens can add unnecessary complexity. Tokens can represent a good solution in scenarios in which they are tied to a particular asset, enabling unitisation or fractional ownership of a defined asset, such as a building. Arranging banking and D&O insurance for ICO backed businesses is a real challenge currently. Planned events for 2018: FinTech (2 October), Internet of Things (13 November).